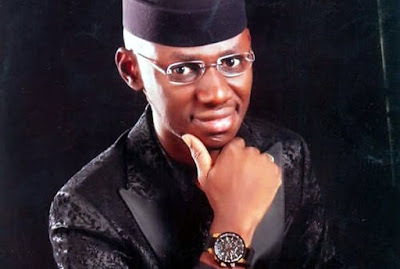 The Deputy National Publicity Secretary of the All Progressives Congress, Mr. Timi Frank on Thursday, dismissed a five man panel set up by the party to investigate a petition against him. Frank described the panel as a “Kangaroo court” set up purposely to suspend him to pave the way for further illegalities by a handful of members of the Chief John Odigie-Oyegun-led National Working Committee. The party’s spokesman said this in an interview with newsmen, in Abuja. According to him, the panel which is made up of individuals whose affiliation to the APC is unknown, will not be given the dignity of his appearance should he be invited. He explained that the panel was clearly set up by the party’s National Chairman and given a mandate to suspend him in order to prevent him from exposing the internal turmoil his leadership has foisted on the party. Frank said, “I am not aware of any committee until now and I have not been served with any letter. If that is true, I am waiting to receive a letter from such committee. I don’t know who set up that committee. I don’t know whether it is a committee approved by the party structure or appointed by the National Chairman. “With the names I saw in that committee, I can tell you that these are not known names to the party and I don’t know the petitioner. How can you petition somebody you don’t know? This is to let you know that he is working for his sponsors. It is very clear that this is the handiwork of my national chairman. “That does not mean that I don’t respect the process of the party. I will only appear before a committee that will be constituted by respected party members because such a committee will enable me lay my complaints about the party and I believe it will do what is right and take my complaints to the next level. But how can I appear before a committee that will take its report to Oyegun to decide my fate. He also said he has heard rumours that the party is trying to appoint a National Publicity Secretary in acting capacity, he said while he welcomes the party’s rumoured choice of Bolaji Abdullahi, he would advise the party to follow due process.